Hallo! 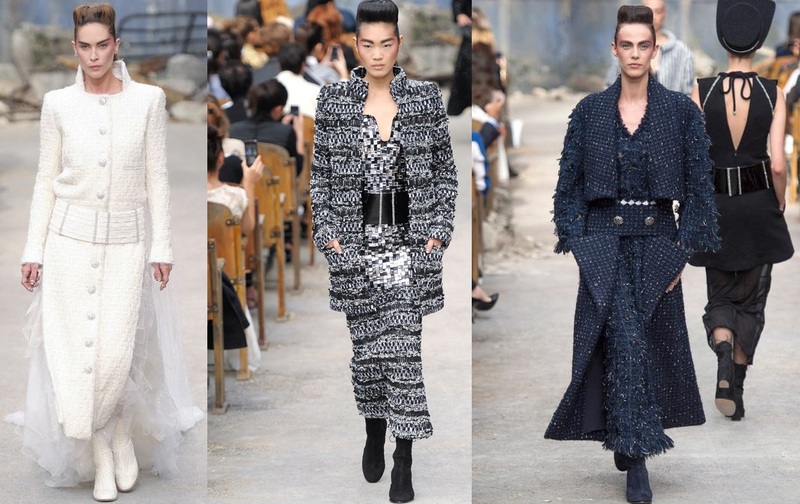 I would like to show you amazing fashion show - Chanel Fall 2014. There were stars like Natalia Vodianova, Miroslava Duma, Rihanna atc. So nice collection, elegant and like always so chic. I need some new peace. Have a great day. Ahoj! Chcem vám ukázať prekrásnu módnu prehliadku - Chanel jeseň 2014. Boli tam osobnosti jako Natália Vodianová, Miroslava Duma, Rihanna a mnohé ďalšie. veľmi pekná kolekcia, elegantná a šik. Potrebujem nový kúsok a tu by som som naozaj vybrala. Pekný deň. Ohhh! Chanel why are you so expensive?! RiRi hot as hell and I want Mira Duma’s bag! its so cute! The collection is pretty amazing, but I really like Miss Duma's outfit. That woman knows how to dress herself, she's so frigging stylish all the time!! Goosh it is so amazing post! Love the pictures at the top, they're gorgeous! I love channel! nice blog. I love Chanel, hope one day I will own something..